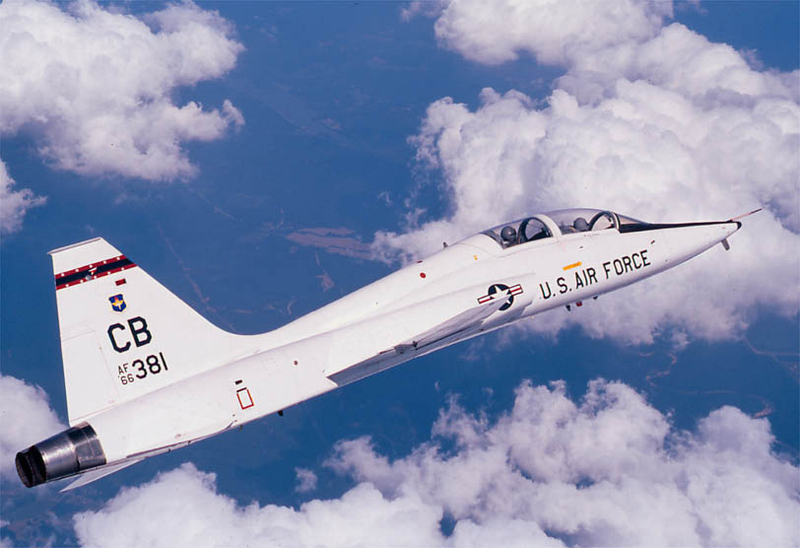 An investigation has found that pilot-error caused a T-38C Tal on to crash at Ellington Field, Texas on Feb. 14. Capt. David M. Cook, a pilot with the 14th Flying Training Wing at Columbus Air Force Base, Miss., was flying the air craft when he apparently mistook the landing runway, lost altitude too quickly and allowed his airspeed to fall below a safe level, according to a press release from the Air Force. His fatigue also was cited as part of the reason for the crash. The crash occurred while Cook was flying during the fourth sortie of the day as a night solo continuations-training sortie into Ellington Field, near Houston, on a squadron cross-country mission, according to the Air Force. Cook’s error resulted catastrophic damage to the T-38’s landing gear and right wing. Damage to the T-38 was assessed at $2.1 million. The impact also caused minor damage to the runway, but no damage to private property. The investigation also cited inadequate operational risk management of the cross-country weekend plan and a culture of risk tolerance in the squadron.